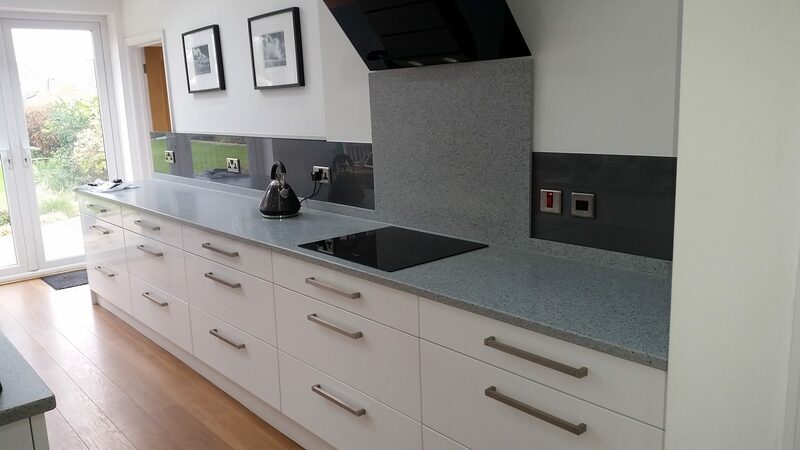 If you are looking for kitchen and bathroom tile ideas, then you’ll be inspired by our stunning painted glass splashbacks for kitchens and bathrooms, as well as our custom-made glass shower doors. Glass painting is one of the most exciting applications to glass that has happened in the 20 years, but has particularly come to the fore during the last 10 years. At abc Glass Processing we use a system called Glasskote; this is a revolutionary system that mixes an agent with your chosen paint to create a durable colour finish to the glass. One of the real benefits is the almost unlimited choice of colour. Our standard colours can be taken from the RAL colour range, although most colours can be matched. The painting of the glass is the last process, so the glass can be cut, polished, drilled and toughened to any shape or size giving us unlimited applications. Painted glass is becoming widely used in kitchens and bathrooms, as a stunning alternative to ceramic tiles. 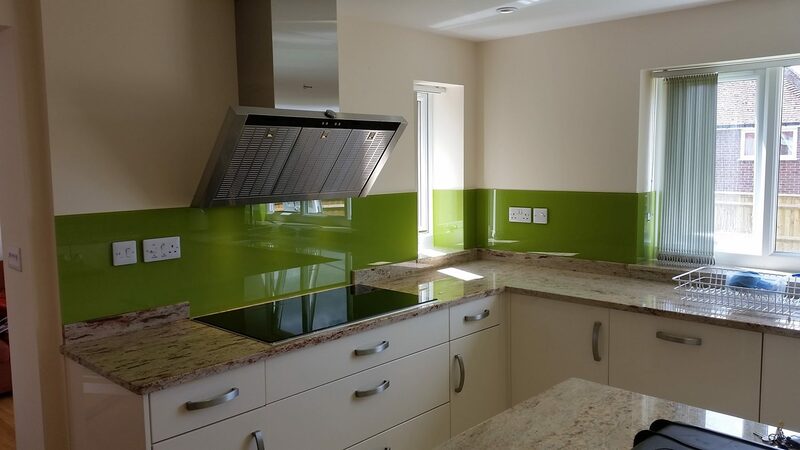 We provide made to measure glass splashbacks, with any printed or painted design you wish for, using our specialist custom cut glass machinery. 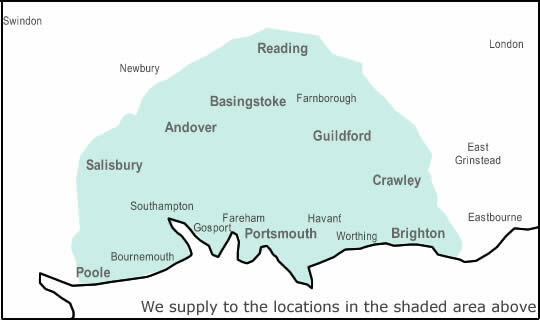 We can offer a supply only or a supply and fit service. 023 92 678 222 or email us info@abcglass.co.uk.